If you have any kind of home automation sensors throughout your home, then chances are that you’ll already be familiar with Elgato as a company. 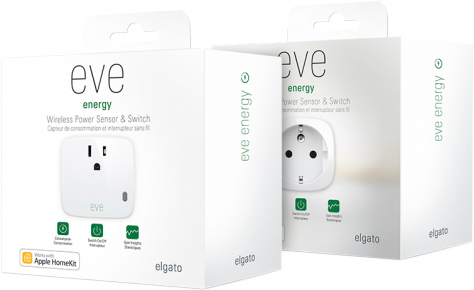 The company has now announced an expansion to its range of smart sensors with the introduction of the Elgato Eve Energy, a smart wall socket-based sensor that allows appliances to be controlled from a dedicated app. 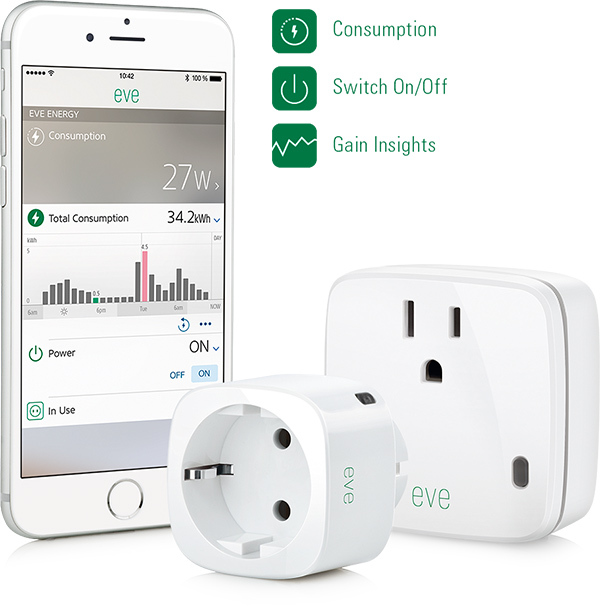 The Eve Energy also bundles in the ability to double up as a power meter, and best of all, comes equipped with Apple’s HomeKit protocol built-in. The latest offering from Elgato works in a similar fashion to a number of other smart plugs that are available on the market. 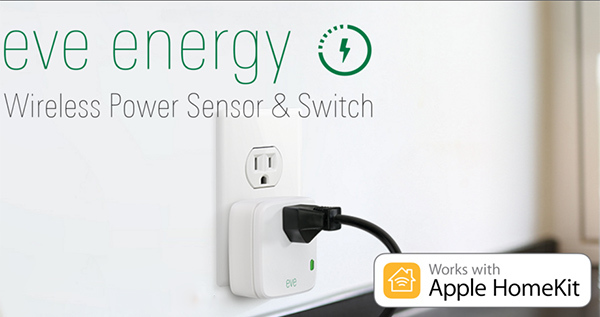 Plugging the device into the wall socket then allows appliances to be powered on and off through the dedicated iPhone, iPad, and Apple Watch app. Of course, as mentioned, Elgato is also among the home automation and smart accessory companies that supports Apple’s HomeKit protocol in its products. That level of adoption means that iOS device owners can also make use of Apple’s Siri digital voice assistant to power on or off any connected appliances. In addition to introducing Siri, HomeKit support also allows the automation of actions using specific triggers like location and time. Even without Siri, the sensor can be controlled using the Elgato Eve app for iPhone and iPad. One of the defining aspects of the Eve Energy is the statistics of energy usage that it will actually bring to consumers making the decision to purchase it. It allows instantaneous feedback and clarity on how much energy a connected device is using. There’s also the fact that it offers an instant insight into energy consumption and allows decisions to be made on individual appliances on whether or not they are consuming too much power for the benefit that they provide. The level of integration and ease-of-install will also appeal directly to home owners who may be less technologically au fait than others. It really is a simple plug-and-play system that offers connectivity using Bluetooth Smart technology which is a first for a sensor of its nature. There’s also no requirement for an additional purchase of a gateway or hub to get up and running with Eve Energy. Elgato Eve Energy is available now for $49.95.